The United Nations (UN) celebrates the International Day of Older Persons 2014 under the theme ‘Leaving No One Behind: Promoting a Society for All’. This necessitates understanding the importance of demography and sustainable development, while acknowledging that population dynamics will shape key developmental challenges in the 21st century. 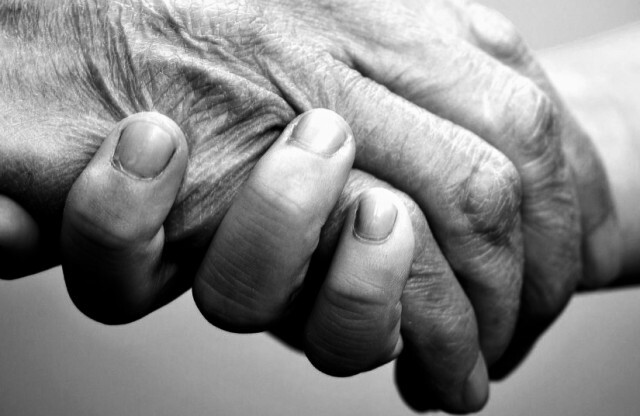 Given that 20% of the global population would be classified as elderly dependence by 2030, this article reiterates the importance of considering the health needs of the elderly, and developing strategic policy options so that no one is left behind. Population ageing is a universal phenomenon, and the number of people aged 65 years and above is expected to grow dramatically across Asia. Although the ageing process in the West occurred over a 50 year period, in Asia, this process is likely to occur in a shorter span of 20-30 years. For the region as a whole, people in the 65 years and above age group will increase by 314% – from 207 million in 2007 to 857 million in 2050. While countries like Republic of Korea and Singapore are expected to have a more rapid ageing population by 2025, elsewhere in Asia, the share of the population 65 years and older will not reach 10% until after 2025. In Sri Lanka, sustained decline in fertility coupled with out-migration has significantly changed the country’s dependent population. The child population of 4.7 million in 2011 is projected to stabilize at 3.5 million during 2031-2041. Similarly, the working age population that comprised of 65% of the total population in 2006 will gradually decline to 63.2% and 52% in 2031 and 2071, respectively, with a demographic dividend lasting in Sri Lanka only until 2017. On the other hand, the elderly population of 1.7 million in 2001, is expected to rise to 3.6 million by 2021, and will comprise 16.7% of the total population. By 2041, 1 in every 4 Sri Lankan is expected to be elderly. Sri Lanka’s demographic transition is apparent not only in the age pyramid but also in the disease profile of the country. Communicable diseases such as Malaria, Tuberculosis and Japanese Encephalitis have shown less morbidity and mortality patterns, while diseases such as Diabetes, Cancer and Cardiovascular Diseases (CVDs) are on the rise. Government hospital statistics indicate that 71% of all annual deaths are attributed to chronic Non-Communicable Diseases (NCDs). In particular, CVDs, Diabetes, Cancers and Chronic Respiratory Diseases account for 29.6 %, 9.4%, 3.9% and 8.5%, respectively. An 82.4% probability of developing Chronic NCDs is explained by unhealthy diet when compared with smoking, alcohol consumption, physical inactivity and over-weight, as reported by the Ministry of Health (Figure 1). A study by the National Bureau of Asia Research estimated that by 2025 diet related factors – primarily saturated fat intake – will account for almost 40% of CVDs. Diabetes will contribute to approximately 29% of CVDs and 18% of strokes. Similarly, obesity and excess weight will account for 24% of Diabetes and 27% of Hypertension. An increase in Sri Lanka’s ageing population calls for continuous specialist care and geriatric treatment – all of which involves a substantial proportion of investment. In Sri Lanka, one of the main difficulties faced by the country’s healthcare provision is to separate health expenditure for the elderly from general health expenditure. A considerable proportion of elderly in the country require long term intensive care for both preventive and curative purposes. Although treatment for emergency inpatient care such as Cancer, Myocardial Infraction, are predominantly publicly financed, a substantial proportion of care for NCDs such as Diabetes, Hypertension and Asthma are financed through out-of-pocket spending delivered by the private sector. Despite spending in hospitals being dominated by the public sector, ambulatory care and retail sales of medical goods are predominantly spent in the private sector. Although the government has supported a policy of providing universal health services through tax-based financing, the actual government expenditure fails to meet the financial requirements of health needs. Despite the allocation of Rs. 2 billion for investments in NCDs in 2014, shortcomings of healthcare delivery continue to prevail. Projected data on Sri Lanka’s future population trends, although alarming, is an unavoidable demographic issue. Today, population ageing is at its inception and the temptation might be to dismiss this issue for the distant future. However, to do so would be a mistake. Although ageing in Sri Lanka is not as advanced as in developed nations, a “silver economy” is not far off. With rising longevity and low fertility rates, Sri Lanka is confronted with social and economic repercussions that are mostly negative for the society at large. It is even anticipated that Sri Lanka will follow a similar trajectory to developed South East Asian nations and run the risk of growing older before growing richer. Unlike in South Korea where healthcare spending rose from 2% to 6% of GDP between 1970 and 1997, most Asian countries including Sri Lanka face a predicament of expanding elderly population with associated healthcare needs and lower levels of health spending. Given the high costs entailed, adequate healthcare is simply beyond reach for many Asian countries. Lessons could be drawn from Japan for instance, where universal health insurance is funded by both the employers and individuals assisted by significant government subsidies. Therefore, complying with this year’s UN theme, the Sri Lankan health sector should include chronic disease prevention through enhanced care for the elderly population, and invest in a formal system of old age support on a priority basis. Can People in Sri Lanka’s Estate Sector Break Away from Poor Health and Poverty? Child Poverty: Who are the Poorest Children in Sri Lanka? Any strategy deployed by the responsible stake holders of the society to address the growing trend of alcohol and tobacco related health issues in Sri Lanka. ?